Local teens will get a glimpse at college life and possible career options during the C. T. Bauer College of Business Residential Summer Business EXPLORE Camps in July. 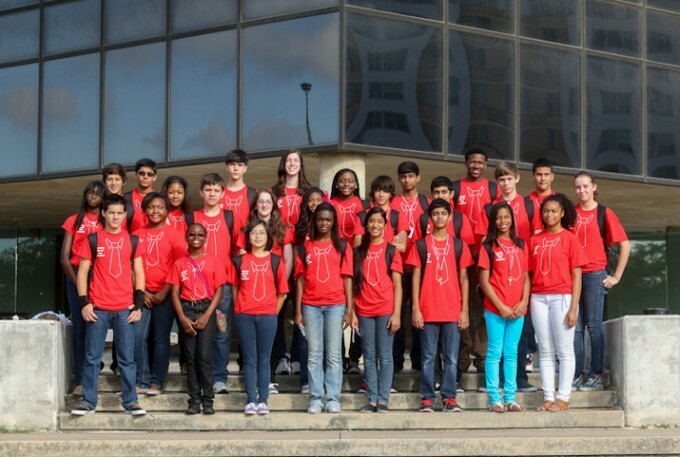 Many teens may see summer as the time for to get a job or to just relax, but for students looking to get ahead of the game during their summer, the C. T. Bauer College of Business at the University of Houston is broadening its offerings for area teens to get a glimpse at college life and possible career options. In addition to the annual Bauer Summer Business Institute, which was held this year in late June, the college is launching a series of “EXPLORE” residential summer business camps for rising 9th or 10th graders, with the goal of giving participants a focused experience in a specific area of the business world. The first EXPLORE camp, a session on entrepreneurship, kicked off this week. In mid-July, an EXPLORE camp on sales and marketing will be held, with the final EXPLORE camp, focusing on energy and sustainability, will be held at the end of the month. Participants in each of the sessions were selected through a competitive application process and will live on campus for the four days of their respective camps. Hosted by the Bauer College’s Cyvia and Melvyn Wolff Center for Entrepreneurship (WCE), students will get a CEO’s perspective on starting a business from the ground up and hands-on experiences from elevator pitches to implementation. Students will have the opportunity to work on teams, perfect presentation skills, and explore what makes them stand out among their peers, led by faculty and staff from Bauer’s Sales Excellence Institute (SEI). During this camp, students will explore topics on what the world will do when oil is scarce and what could replace it. Participants will be asked, What does the future of energy hold? “By bringing students in to the Bauer College to get an inside look at higher education, we hope that it not only inspires them to pursue a business degree, but opens them up to a new world of possibilities,” Undergraduate Business Program Manager Joyce Williams said. “These camps will give future college students the opportunity to sample things they are interested in and one day pursue as a career,” she added. Click here to see photos of what students are doing each week during the EXPLORE camps.